What Would You Put on That Banner? Below is the latest addition to the Trombone History Timeline (19th century, 1826-1850). 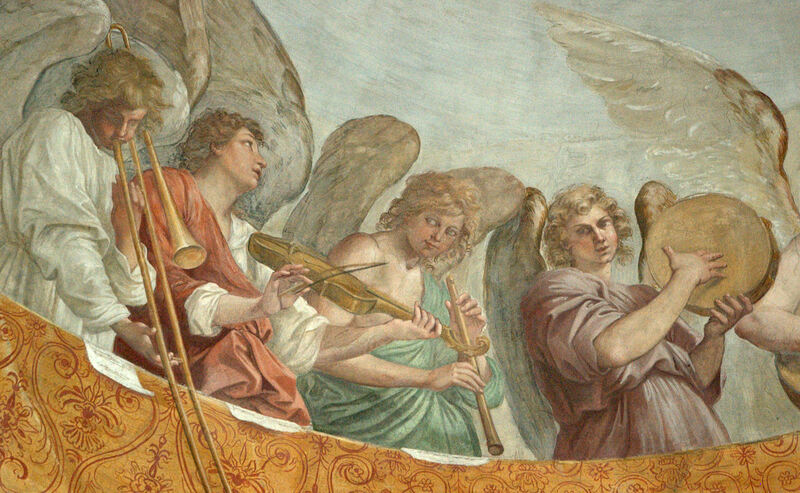 c. 1850—Freudenstadt, Germany: A relief on a vaulted rib in the Evangelische Stadtkirche portrays two decorative trombones and a banner/scroll. See below image; public domain (source: bildindex.de).